Utility companies, developers, contractors, and excavators who undertake any type of construction that will impact the street or occupy it with equipment, structures or other installations must obtain a permit. New York City is brimming with construction activity—from the building of skyscrapers, rehabilitating and reconstructing of bridges and roadways, to the digging of new subway lines. At the foundation of the city that never sleeps lays a network of streets that helps keep New York and New Yorkers moving forward. 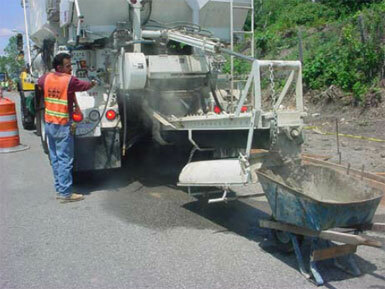 In order to maintain world-class streets, permits must be obtained for the work performed in the street. The term "street" means a public street, avenue, road, alley, lane, highway, boulevard, concourse, parkway, driveway, culvert, sidewalk, crosswalk, boardwalk, viaduct, square or place, except those streets adjacent to any waterfront property designated as a marginal street on a city map. This chapter describes the different types of permits that are issued by the New York City Department of Transportation (NYC DOT), the one-time permittee registration process, the application procedure for each permit type, and special circumstances and procedures. NYC DOT's mission is to provide for the safe, efficient and environmentally responsible movement of pedestrians, goods, bicycles and vehicular traffic on the streets of the city of New York. In addition, the streets serve as the access point for the subsurface infrastructure that provides water, sewer, power, and telecommunications services for the city. 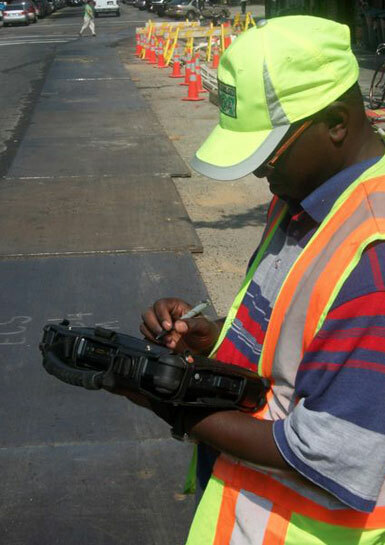 NYC DOT registers permittees, and coordinates and issues permits for construction-related activity on streets. Registered Permittees may apply, pay for and print their permits anytime anywhere using the NYCStreets Permit Management online system. Public can search for location and status of active construction permits using a friendly map based NYCStreets interface. An online permit processing application significantly enhanced the efficiency of NYC DOT permitting operations. By eliminating manual steps, most permit requests now may be approved and issued within 1-2 business days. Please note that although permits can be submitted, paid for and printed out 24/7, the permit review process occurs only during normal weekday Permit Office hours. In calendar year 2018 NYC DOT processed more than 700,000 construction permits. Who Issues Construction-Related Permits for Work on a Street? The Office of Permit Management (Permit Office) provides extensive customer support for all applicants, registers permittees, receives and reviews for accuracy and completeness permit application submitted in person, and also reviews appropriate fees for both online and in-person applications. There is a central Permit Office in Manhattan and borough Permit Offices in each of the other boroughs. The Office of Construction Mitigation and Coordination (OCMC) reviews all construction permit applications and develops construction activity stipulations* to allow for work to occur with minimal disruption to businesses, motorists, bicyclists and pedestrians, and avoid conflicts with other construction projects and special events. OCMC also interacts with project engineers, city agencies, community boards, elected officials and the general public to resolve construction issues related to mobility. 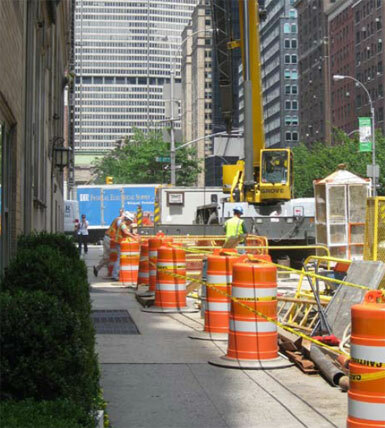 All work within the street requires a NYC DOT permit to minimize construction impacts. The Permit Bureau issues a number of different categories of construction-related permits for work on a street. Street Opening, Building Operations/Construction Activity, Sidewalk Construction, and Canopy Permits are reviewed and stipulated by OCMC staff. Manhole Embargo, Commercial Refuse Container, Temporary Plates and Shunts, Steam Tanks and Nitrogen Tanks permits are processed and stipulated directly by NYCSTREET. An overview of major permit categories, is provided below. More specific information on each permit type, including application procedures and fee structures are described in greater detail in Section 3.3 The Permit Application Process of this chapter. Procedures to follow in the event of an emergency or the need to apply for a permit during an embargo period are explained in Section 3.6 Emergency Work and Special Circumstances later in the chapter. This category of permits applies to openings/excavations or other work in a street that may cause damage to the street surface or to any work that the Permit Office believes would compromise the street surface. Street Opening Permits are generally taken out by entities that need access to subsurface infrastructure, including utility companies and contractors, such as licensed master plumbers. This category of permits applies to construction-related activities that take place within the street and are generally associated with construction work adjacent to the street. Typically, a valid permit issued by the New York City Department of Buildings (DOB) is required prior to application for permits in this category. Some of the construction-related activities covered under this category include placement of materials, equipment and temporary structures on the street or sidewalk (e.g., building materials, cranes, boom trucks, a shanty or trailer, construction container, security structure, tool cart, or construction parking regulation signs) or movement of construction equipment across roadways and sidewalks. This category also covers installations above the street such as banners and decorative lights and permanent installations on the street such as bike racks. Building Operations/Construction Activity Permits are generally taken out by entities that perform construction activities, including developers and contractors. Crane placed on the street for construction activity. Cranes may require permits from DOB in addition to NYC DOT. This category of permits applies to any repairs, replacements or new sidewalk installations. Sidewalk Construction Permits are generally taken out by entities that need to perform work on sidewalks, including developers, contractors, and private homeowners (for sidewalk repairs and only if performing the work themselves). This category of permits applies to authorizations and permits required to place a canopy* over the sidewalk. A one-time Street Opening Permit must also be obtained to install the poles that support the canopy. Canopy permits are generally taken out by building owners, business owners, and canopy installers. In order to apply for a permit, an applicant must first register in person with NYC DOT by submitting a completed Permittee Registration Application. Although registration is a one-time process, registered applicants must keep all insurance and general information up to date, which must be done in person at the central Permit Office. Completed Permittee Registration Application. Click here for a completed Permittee Registration Application. An application can also be found in Appendix B, Forms. Copy of E.I.N. or Tax I.D. number as provided by the Internal Revenue Service (IRS). Original insurance certificates for Commercial General Liability (CGL) insurance and Worker's Compensation insurance. CGL insurance. The applicant must satisfy all of the requirements listed in section 2-02(a) (3) of the Highway Rules or at http://www.nyc.gov/html/dot/downloads/pdf/insurancereq.pdf. Additionally, Section 2-02(a) (3) contains an indemnification provision to which all permittees are subject. A Certificate of Insurance may be provided as proof of insurance coverage only if accompanied by a certification form by the insurance broker or insurance company attesting to the accuracy of the coverage described on the certificate. Click here to view a sample certification form and in Appendix B, Forms. A sample of an acceptable Certificate of Insurance can be viewed here and in Appendix B. Applicants may provide complete copies of insurance policies instead of certificates of insurance. The applicant must obtain CGL insurance policies written by companies that may lawfully issue such policies, with an A.M. Best rating of at least A-VII or a Standard & Poor's rating of at least AA. The CGL policy should provide coverage in the amount of no less than $1 million combined single limit per occurrence, except for applications for permits to place a crane on a street, which requires $3 million combined single limit per occurrence. All CGL insurance policies must contain the following cancellation clause: In the event of expiration or cancellation of any such policy, the company will give the Permit Office at least 30 days' written notice prior to such expiration or cancellation. Worker's Compensation Insurance. Each applicant must obtain and provide Worker's Compensation insurance in accordance with the laws of the State of New York from a licensed insurance company. Permit Bond. Where applicable, an applicant must submit an original Permit Bond to the Permit Office at the time of permit issuance to cover all costs and expenses that may be incurred by the city as a result of the activity for which the permit is issued or for the purpose of otherwise safeguarding the interests of the city. Permit Bonds, as described in the Highway Rules, Section 2-02 (a) (4), should cover all permitted activities. Click here to download Permit Bond templates. Copies of incorporation papers, licenses, and business certificate or filing receipt filed with the state of New York. All addresses must be the same on all above referenced documents. The instructions below apply to corporations, partnerships, joint ventures and individuals. Registration applications should be printed on 8 1/2"x 14" paper. Please note all fields marked with an asterisk (*) on application must be completed. Permittee Legal Name*: Enter the legal name of the corporation, limited liability corp. or limited liability partnership as registered with the NYS Department of State (NYSDOS). Tax ID Number (EIN) or Social Security Number*: Enter Tax ID as provided by Internal Revenue Service or SS number as provided by Social Security Administration. NYS Department of State I.D. Number*: Enter your NYS Department of State ID number. If you are unsure of the number it can be found at http://www.dos.ny.gov/corps/ . Address*: Enter the applicant’s complete address (address number, street name, apt. /Suite. Post Office Box is not accepted). City, State, Zip Code*: Enter city, state and zip code. Telephone Number*: Enter daytime telephone number. Fax Number: Enter applicants fax number. 24-Hour Emergency Telephone Number*: Enter a telephone number where applicant can be reached at all times (for emergency situations). Applicant E-Mail: Enter email for owner of company or company email address (DOT correspondence pertaining to permits will be sent to this email address). E-mail address is required if applicant wishes to use on-line Permit Management system. NYSDOS Process Name: Enter name to which DOS will mail process if accepted on behalf of the entity. NYSDOS Process Address: Enter address to which DOS will mail process if accepted on behalf of the entity. Assumed Name (Doing Business As): Enter Assumed Name/Doing Business As (DBA) if applicable. Permittee Legal Name*: Enter the legal name of the partnership as filed with Clerk of County. Index Number: Enter your Index number as provided by County Clerk’s office. Through 8. Enter information as indicated in 1A above. Permittee Legal Name*: Enter the legal name of the joint venture as provided by the Agreement. Through 7. Enter information as indicated in 1A above. Permittee Legal Name*: Enter the legal name of the company. Plumbers*: Enter the plumber's license number and name on license (if applicable). Commercial Refuse Container Carting Companies*: You must enter your Business Integrity Commission (BIC) License or Registration number. Check all types of work that will be performed by the applicant or his/her corporation. Check each borough in which the applicant expects to work. Enter the names of at least two people who are authorized to accept summonses for his/her corporation and who are located at his/her business address. Enter at least two names of corporate officers, director, managing agent, owners, partner, etc., with titles and telephone number. Enter all persons authorized to obtain permits for the applicant, their affiliation to the applicant and their telephone number and email address. Include the names of any expediter. If the applicant makes any changes to these authorized representative(s), he or she must update the Permittee Registration Application. Print his/her name and title and provide a signature. NOTARIZE THE FORM. Form must be notarized. Click here for a copy of the Instructions for Permittee Registration Application. The completed Permittee Registration Application and other required documents must be submitted in person to the NYC DOT central Permit Office to complete the registration process. A full review will typically take between one or two business days. When all necessary information has been submitted and reviewed, the applicant is issued a Permittee ID Number that must be used on all permit applications. This number should be kept confidential and only used to apply for NYC DOT permits. Questions regarding permit registration can be directed to the central Permit Office. The contact information and hours of operation can be found in Appendix C, NYC DOT Contact Information. Homeowners applying for Sidewalk Construction permits who intend to do the work themselves do not need to register. The central Permit Office entrance is via Vietnam Memorial Plaza between Water and South Streets. There is one permit application form that covers Street Opening, Building Operations/Construction Activity, and Sidewalk Construction permits for non-governmental work. These applications can be submitted online using NYCStreets. Applicants who prefer to apply in person may do so using an Application for Roadway/Sidewalk Permit(s) or see Appendix B, Forms. There are separate permit applications for governmental work, Canopy Permits, and permit renewals and re-issuance, all of which are explained later in this chapter. 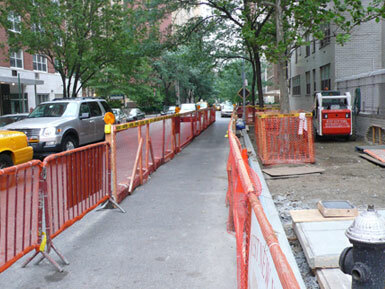 Central Permit Office in Manhattan—In-person applications for non-emergency work, including work on all streets in Manhattan and on all critical streets in Brooklyn, Queens and the Bronx; all work to be performed for sewer and water system construction; and all capital project work, all utility work, all crane requests, and all full closures of sidewalks and roadways must be submitted only to the central Permit Office in Manhattan. 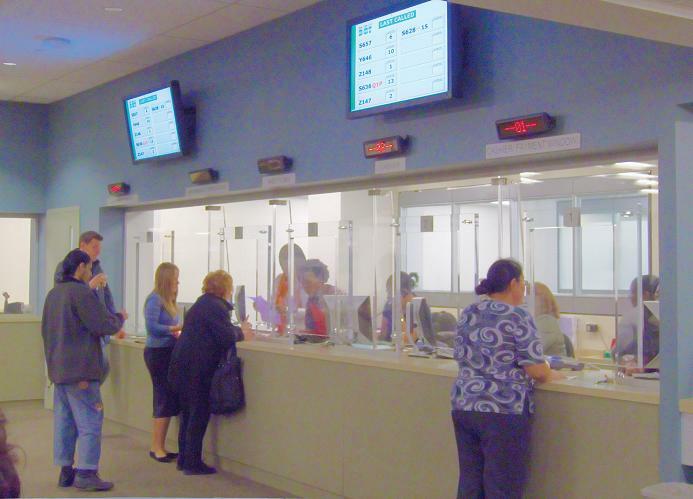 Borough Permit Offices—In-person applications for all other construction-related work can be submitted to the borough office in the borough in which the work is to be performed. The Staten Island borough permit office also accepts applications for work on critical streets in Staten Island. The contact information and hours of operation for all Permit Offices can be found in Appendix C, NYC DOT Contact Information. Applicants must be registered with NYC DOT and have a Permittee ID Number, except in the case of a Sidewalk Repair Permit taken out by a homeowner, where the work will be performed by the homeowner. Applicants must submit a completed permit application. Generally, applicants must provide business and contact information; proposed work information, including location, size of proposed work, and the work start and end date; type of permit(s) being requested; detailed work zone sketch; and date and signature of applicant or authorized representative. View the permit application or see Appendix B, Forms. Applicants must obtain all applicable original permits and/or approvals from any other governmental agencies prior to applying for a permit. Common examples include approval from the New York City Department of Parks and Recreation (Parks) if any street trees or tree pits will be affected by the proposed work; a permit from the New York City Department of Environmental Protection (DEP) if any water or sewer line will be affected; and a Certificate of Appropriateness from the New York City Landmarks Preservation Commission (LPC) if the proposed work is within an Historic District. Copies may be accepted if approved by the Permit Office in advance. A table showing the agencies that must be contacted prior to applying for certain NYC DOT permit types can be found in Appendix A, Common Permit Types and Documents Needed; a list of contact numbers for these agencies can be found in Appendix D, Other Agency and Utility Contact Information. If the applicant intends to work on a contract that has been awarded by a government agency or authority, the applicant must bring a copy of the contract, Order on Letter, Notice to Proceed or a Letter of Authorization. Applicants should indicate on the application, Application for Governmental Work Permit(s), their name and the name of the governmental agency or authority for which they are working. Access the Application for Governmental Work Permit(s) or see Appendix B, Forms. If the applicant intends to fully close a roadway, a Request for Full Roadway Closure must be completed or see Appendix B, Forms. If the applicant intends to do work associated with a Franchise, Concession or Revocable Consent Agreement, the applicant must have a copy of the Agreement prior to applying for a permit. Any work is subject to suspension during an NYC DOT-issued embargo period*, unless otherwise designated. Street Opening Permits are required for excavations or other work in a city street that disturbs the street surface. Outlined below are the basic application procedures for Street Opening Permits. These are in addition to the "Common Requirements" listed at the beginning of this section. Additional requirements are contained in Sections 2-02 and 2-11 of the Highway Rules and should be consulted before any work is performed on the street. Street Opening Permits are designated as the "01" permit series, meaning all permits in this category begin with "01." Listed on the following page are the most commonly requested Street Opening Permit types which may be used when completing an application. A separate permit is required for each street opening activity. All Street Opening permit types usually allow for work within 300 linear feet by a width of 12 feet. Other conditions may apply, such as a variation in the distance and width of the job, which may increase the fee required. For further information regarding fees, the applicant should refer to Section 2-03 of the Highway Rules. An application for a Street Opening Permit on a protected street will automatically be placed on a Street Arterial Maintenance (SAM) hold if the proposed work is to start within 18 months of the street being resurfaced or reconstructed. The hold is to review the proposed work and set conditions for the work and/or the street restoration. More information on this and other "holds" that may be placed on permit applications can be found in Section 3.5 Other Provisions Pertaining to Permits of this chapter. Information on restoration requirements following street openings/excavations can be found in Chapter 4 Executing Work in the Street. A street is considered to be protected for five years from the date it was last resurfaced or reconstructed. The purpose of placing a street in protected status is to maintain the integrity of a new street surface. The list of protected streets is updated daily and is accurate as of the previous business day. Prior to submitting a Street Opening Permit application, the Protected Streets Listing should be consulted in order to determine if the proposed work location is in protected status. If the proposed work location is in protected street status, the application will automatically be placed on SAM hold for further review. Only in circumstances where the applicant can demonstrate that the work could not have been reasonably anticipated prior to the street resurfacing/reconstruction will an application for a Street Opening Permit on a Protected Street be reviewed. All streets on the "Active/Future" lists show the anticipated start date of the project. This information should be used to plan work before streets go into protected street status. View the Protected Streets Listing. Building Operations/Construction Activity Permits apply to construction activities that take place within the street and are generally associated with construction work adjacent to the street. A valid permit issued by DOB is usually required in order to apply for permits in this category. Some of the activities covered include placement of materials, equipment and temporary structures on the street or movement of construction equipment across roadways and sidewalks. It also covers installations above the street such as banners and decorative lights and permanent installations on the street such as bike racks. Outlined below are the basic application procedures for Building Operations/Construction Activity Permits. These are in addition to the "Common Requirements" listed at the beginning of this section. Additional requirements are contained in Sections 2-02 and 2-05 of the Highway Rules and should be consulted before any work is performed on the street. Building Operations/Construction Activity Permits are designated as the "02" permit series, meaning all permits in this category begin with "02". Listed in the table are the most commonly requested Building Operations/Construction Activity Permit types, which may be used when completing an application. A separate permit is required for each construction-related activity, except where otherwise provided in the Highway Rules or by permit stipulations. An Occupancy of Sidewalk Permit is required when either more than 3 feet from the property line is obstructed by a fence or a minimum of 5 feet of clear path cannot be maintained for pedestrians, or as otherwise stipulated. An Occupancy of Roadway Permit is required for closing all or part of one or more lanes of roadway and/or during blasting operations. A permit is required to place any construction trailer or similar structure in the street. For building operations, a crane permit is required for all cranes and derricks operating in the street on building construction or related activity under the jurisdiction of DOB, with the exception of truck cranes with telescopic, hydraulic or folding booms, over 50 feet and not more than 135 feet with a maximum rated capacity of 3 tons, for which a construction activity permit has been issued. Other requirements may apply to the movement of cranes within city limits, such as daily or annual over-dimensional travel permit(s) as issued by NYC DOT. For street operations, a crane permit is required for all cranes and derricks operating in the street with a maximum rated capacity greater than 20 tons and which are not related to building operations. Other requirements may apply to the movement of cranes within city limits, such as daily or annual over-dimensional travel permit(s) as issued by NYC DOT. The applicant may be required to address the circumstances of a hold before a permit is released. An explanation and description of "Holds" may be found in Section 3.5 Other Provisions Pertaining to Permits of this chapter. Sidewalk Construction Permits apply to any repairs, replacements or new sidewalk installations. Outlined below are the basic application procedures for Sidewalk Construction Permits. These are in addition to the "Common Requirements" listed at the beginning of this section. Additional requirements are contained in Sections 2-02 and 2-09 of the Highway Rules and should be consulted before any work is performed on the street. Sidewalk Construction Permits are designated as the "04" permit series, meaning all permits in this category begin with "04". Listed in the table are the most commonly requested Sidewalk Construction Permit types, which may be used when completing an application. A permit is not required to install, repave, reconstruct or repair any sidewalk where the work involves an area of less than 25 square feet, unless the purpose of the work is to remove a violation. A separate Occupancy of Sidewalk Permit is required if a minimum of 5 feet cannot be maintained on the sidewalk for unobstructed pedestrian passage. If the existing sidewalk is the structural roof of a vault or other opening, a DOB-approved plan for the restoration of the sidewalk, must be submitted as part of the application process. NYC DOT accepts and processes applications by mail for sidewalk repair performed by private homeowners. This unique procedure is described below. The private homeowner must complete the application for a Roadway/Sidewalk Permit. This permit application can also be found in Appendix B, Forms, or by calling 311. A mandatory Affidavit of Ownership must be completed, notarized and the original returned with the permit application. This form may also be obtained in Appendix B, Forms. This form verifies that the person applying for the permit is the homeowner and will be performing the repairs to the sidewalk pursuant to the permit issued by NYC DOT. No permit will be issued unless the affidavit is complete and notarized. Upon receipt of the above and verification for completeness, a Sidewalk Repair Permit will be issued and mailed to the applicant. Information on the restoration requirements for sidewalk repairs can be found in Chapter 4 Executing Work in the Street. A permit is required for new sidewalk installation, repairs, and replacements. Projects requiring sidewalk closure may require additional permits. Permit Review is the process by which NYC DOT reviews permit applications and supporting documentation and makes determinations regarding the issuance of permits and permit stipulations. In some cases, applications and supporting documentation must be submitted in person, however the majority of permit applications may be submitted online. 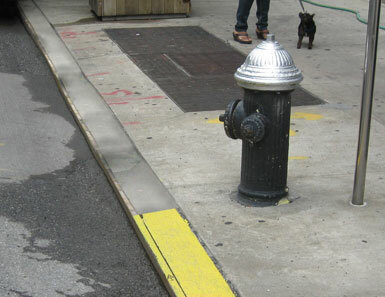 In-person applications for non-emergency work, including work on all streets in Manhattan and on all critical streets in Brooklyn, Queens and the Bronx; all work to be performed for sewer and water system construction; and all capital project work, all utility work, all crane requests, and all full closures of sidewalks and roadways must be submitted to the central Permit Office in Manhattan. The applicant submits permit application, proof of insurance (originally supplied during the registration process) and supporting documentation for review as to accuracy and completeness. If the application and its supporting documentation are accepted, the OCMC Project Manager (PM) reviews the application and all associated documents and adds the permit stipulations to the permit application. View the most commonly issued permit stipulations or see Appendix F, Permit Stipulations. If the applicant does not accept the permit stipulations, he or she can request a review with the PM. If the applicant does not agree with the PM, he or she is informed of the appeals process. During the processing of the permit, if there is a hold, the applicant is notified of the type of hold and the steps the applicant must take to release the hold. Section 3.5 Other Provisions Pertaining to Permits contains more information on holds. If there is no hold, the permit is issued to the applicant after appropriate payment is received. The central Permit Office accepts money orders, company checks, certified checks and most major credit cards as payment for permit fees. Applications for all other construction-related work, including work on critical streets in Staten Island, can be submitted to the borough office in the borough in which the work is to be performed. If all the documentation is accepted, pre-determined permit stipulations are added to the permit and the application is sent for processing. If there is a hold during the processing of the permit, the applicant is notified of the type of hold and the steps to take to release the hold. Section 3.5 Other Provisions Pertaining to Permits contains more information on holds. If there is no hold, the permit is issued to the applicant after appropriate payment is received. All borough Permit Offices accept money orders, company checks, certified checks and most major credit cards for permit fees. There are borough permit offices in Brooklyn, the Bronx, Queens and Staten Island. 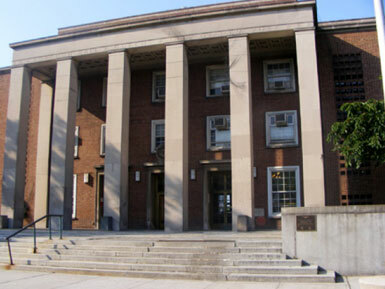 The Queens borough permit office is located in Queens Borough Hall. All construction-related permits have expiration dates. If a permit is about to expire and the permittee has not completed the work, the permittee must apply for a permit renewal as all work must be performed pursuant to an active permit at all times. The permittee may apply for a renewal online, or in-person by accessing either the Application to Renew Permits or the Application to Renew Governmental Permit(s). These forms may also be found in Appendix B, Forms. The permittee must attach a copy of the original permit to the application when it is submitted for renewal and all applicable reviews and fees will apply. This form cannot be used if the permit has already expired. Permits that have expired may be reissued only within 30 days of expiration. The permittee may apply for a re-issuance online, or in-person by accessing either the Application to Re-Issue Permits or the Application to Re-Issue Governmental Work Permit(s). These forms may also be found in Appendix B, Forms. Re-issued permits will not apply retroactively and are subject to new permit stipulations. The permittee must attach a copy of the original permit to the application when requesting a re-issuance and all applicable reviews and fees will apply. If the permit has been expired for more than 30 days , a new permit application must be submitted. Canopy authorizations and permits are required to place a canopy over the sidewalk. Canopy placement must be adequate for public safety and must be suitable to the circumstances of the proposed canopy location and not interfere with the public use of the sidewalk. Listed in the following paragraphs are some of the requirements for canopy authorizations and permits. The full list of rules and regulations is contained in the Highway Rules, Sections 2-02 and 2-04, and should be consulted before any work is performed on the street. Canopy placement must be approved by the owner of the property to which the canopy will be attached. Canopy design and construction must be in accordance with NYC DOT Standard Details of Construction. 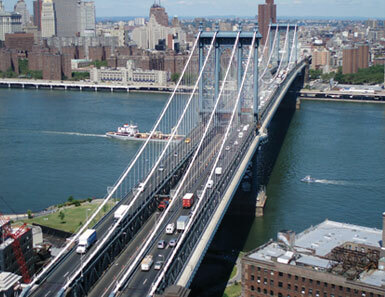 View the most recent version of Drawing #H1029 of the NYC DOT Standard Details of Construction. Canopy permits are not transferable from person to person or from the location of original issue. No attachments of any kind are permitted on a canopy, including, but not limited to temporary or permanent signs, balloons, streamers, flags, banners or pennants. Canopies must be well-maintained at all times. Canopies must be fully roofed. A list of partially and fully restricted streets where canopy placement is limited or prohibited can be found in the Highway Rules, Section 2-04(f). NYC DOT authorization is required before installing a canopy over the sidewalk. Application for a canopy installation involves three major steps. First, the applicant must obtain authorization from the Highway Inspection and Quality Assurance (HIQA) unit for the placement of the canopy at the proposed location. Second, after obtaining HIQA's authorization, the applicant must obtain a permit to install the canopy at the approved location and apply for a permit to maintain the canopy once it is installed. The permit to maintain the canopy will remain on hold until after the canopy is installed and inspected. Third, following installation of the canopy, a final inspection by HIQA is required to confirm compliance with the applicant's submitted plans. After the canopy passes final inspection, HIQA will release the hold and the applicant must return to the Permit Office to obtain the permit to maintain the canopy. To request authorization for the installation of a canopy, an applicant must initiate the process at the HIQA office in the borough where the proposed canopy will be located. At the HIQA borough office, applicants will be given a Canopy Authorization Application (Appendix B, Forms, contains a copy of this application), which outlines the requirements necessary to gain authorization. HIQA borough office locations may be found in Appendix C, NYC DOT Contact Information. Written approval from the owner of the property to which the canopy will be attached. A statement of the basic construction details including type, description and color of the canopy covering; type, diameter and gauge of all supporting members; description of the frame, wind bracing assembly and sidewalk and building fastenings; description of proposed lettering on the canopy covering including exact wording and dimensions thereof; three 5 inch by 7 inch photographs of the proposed site. A statement that the canopy design and construction conforms to NYC DOT Standard Details of Construction. See the most recent version of Drawing # H1029 of the NYC DOT Standard Details of Construction. A sketch showing the canopy dimensions, location and all street facilities and furniture within 15 feet of both sides of the proposed canopy. 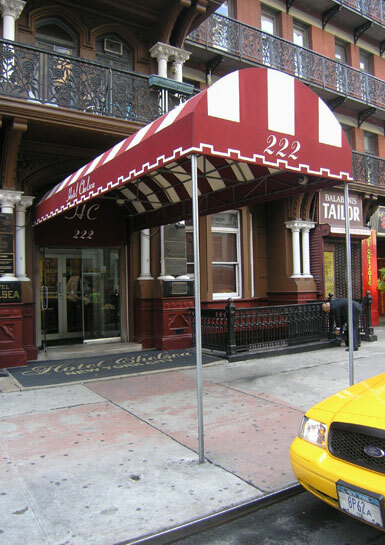 If applicable, a permit from the Landmarks Preservation Commission (LPC) for the placement of a canopy in a historic district or attached to a landmarked building. The permit application is available online. View additional information about historic districts. Certification by the manufacturer that the covering is flameproof. Where certification is unobtainable from the manufacturer, certification by the installer may be submitted instead. Based on the documents submitted, HIQA makes a preliminary determination as to whether the proposed location may be suitable for a canopy. If the proposed location may be suitable, HIQA performs an inspection in order to confirm its suitability. Upon completion of the inspection, HIQA makes a final determination as to whether the location is suitable for a canopy placement. If the location is deemed suitable, HIQA signs the Canopy Authorization Form indicating HIQA approval and returns it to the applicant. If the proposed location is unsuitable, the canopy authorization is denied and the request for a canopy ends at this point. However, a new request may be submitted at a later date, if conditions at the location change. After obtaining HIQA's authorization, the applicant will be referred to the Permit Office in the borough in which the canopy will be located. A permit must be obtained to install the canopy at the approved location (Erect Canopy Permit from the "01" Street Opening Permit series). Only a canopy installer or authorized agent that is registered with NYC DOT can apply for a permit to install the canopy. In addition, a second permit must be applied for to maintain the canopy. The canopy maintenance permit is from the "07" Canopy Permit series; the specific permit type to be applied for depends on the land use to which the canopy is being attached. The full list of Canopy Permit types is shown in the table. The applicant may apply directly for this permit type without being a registered permittee, provided he or she can demonstrate proof of required insurance. The applicant must maintain valid insurance and a canopy maintenance permit as long as the canopy exists. Once the canopy installation permit application has been reviewed and approved by the Permit Office, the permit is issued to the canopy installer or authorized agent, and canopy installation can begin. The second permit for canopy maintenance is automatically placed on a Canopy (CAN) hold until a final inspection has been conducted by HIQA. Section 3.5 Other Provisions Pertaining to Permits contains more information on holds. Once the canopy is installed, the canopy installer or authorized agent must contact the HIQA borough office for a final inspection to determine whether the installed canopy conforms to the submitted plans. If the installed canopy fails final inspection, HIQA will reject the canopy maintenance permit and notify the applicant of the rejection. The applicant will also be notified of any corrective action necessary and recourses available. If the installed canopy passes final inspection, HIQA releases the CAN hold on the canopy maintenance permit and notifies the original applicant. The applicant will be able to pick up the permit from the Permit Office in the borough in which the canopy is located upon payment of the appropriate fee. Each canopy maintenance permit expires one year after the date of issuance, unless revoked sooner by NYC DOT. Applications for renewal of a canopy maintenance permit must be made at least one month prior to the permit expiration date and must be submitted to the Permit Office in the borough in which the canopy is located. All applicable fees will apply. The following section provides information on some issues that may delay the issuance of a permit or that may lead to the revocation of a permit. A hold is a "do not release" order that can be placed on permits or permittees to prevent the permit from being processed. Any given permit or permittee may be subject to one or more holds. Contact information pertaining to the release of holds by NYC DOT can be found in Appendix C, NYC DOT Contact Information. Capital Project In-House (CPI) hold — A CPI hold is automatically placed if the proposed permit location involves a street that will be resurfaced by a NYC DOT in-house resurfacing operation in the near future. CPI holds are regularly released by the borough Administrative Superintendent of Highway Operations (ASHO) if the proposed work does not interfere with the in-house street resurfacing operation. If the hold is not released, the applicant must contact the borough ASHO to determine the feasibility of the work being completed prior to the final resurfacing. If it is determined to be unfeasible, the pending permit will be rejected. Street Arterial Maintenance (SAM) hold — A Street Opening Permit request to perform work on a protected street will automatically have a SAM hold placed on it if the proposed work start date is within 18 months of the street being resurfaced/reconstructed. The hold is to review the proposed work and set conditions for the work and/or restoration. To request a release of a SAM hold, the borough ASHO must be contacted to discuss the work and allow the ASHO to determine the extent of the restoration requirements. Capital Project by Other Agency (CPO) hold — A CPO hold is automatically placed if the proposed permit location involves a current capital street reconstruction project or one that is being planned. For New York City Department of Design and Construction (DDC) capital projects, a CPO hold can only be released by DDC. CPO holds will typically be released by DDC if the proposed work does not interfere with its schedule. If the hold is not released, the applicant must contact DDC (DDC contact information is available in Appendix D, Other Agency and Utility Contact Information). For non-DDC capital projects, the applicant may contact the Permit Office to request release of a CPO hold. Bridge (BOB) hold — Any planned work requiring a Building Operations/ Construction Activity Permit that may potentially be within 100 feet of a bridge structure will be placed on a Bridge hold. If any proposed work is within 100 feet of a bridge or structure, applicants must submit a scaled drawing showing the work and exact location. If the work is more than 100 feet away from the bridge structure, applicants must send a certification by e-mail stating so. Either response must be sent to NYC DOT's Division of Bridges at bridgeshold@dot.nyc.gov for review and release prior to commencing work. Emergency work will not be placed on hold and shall proceed in accordance with Highway Rules, Section 2-11 (g). The Bridge Hold Map shows locations where Bridge holds apply. Permit applications near bridges are subject to approval by the Division of Bridges. Executive (EXC) hold— An EXC hold is automatically placed if the proposed permit locations involve locations deemed necessary by NYC DOT. These include major construction related projects or planned traffic enhancements (e.g., Second Avenue subway, bus rapid transit, water tunnel route), or where there are significant traffic issues (e.g., “thru” streets, exits and entrances to major tunnels and bridges). These holds can only be released by OCMC executive staff. Once OCMC executive staff determines the final permit stipulations, the permit will be released. However, if extraordinary conditions are present, the applicant may be asked to meet with OCMC. Full Closure Review (FCR) hold— An FCR hold is automatically placed on the 90th consecutive calendar day of any full street closure. OCMC will review the project to determine if a Community Reassessment Impact and Amelioration (CRIA) statement must be submitted to NYC DOT. A CRIA statement is required if the closure is expected to last for more than 180 consecutive calendar days, as set forth in Section 2-16 of the Highway Rules. To release an FCR hold, the applicant must demonstrate that either he or she has begun the CRIA process or that the CRIA statement is not required. At that point, OCMC executive staff will determine if additional permit stipulations are required. If no changes are required, the permit will be released. A Full Closure Review (FCR) hold is triggered when a street is closed for 90 days. OCMC will release the hold after it reviews the proposed work and adds the permit stipulations. Poles (POL) hold— A POL hold is automatically placed if the proposed permit work is for the installation of a pole on the sidewalk, which must be reviewed, approved and released by NYC DOT Street Lighting. To release a POL hold, the Division of Traffic Operations, Office of Street Lighting must be contacted. Vault (VLT) hold— A VLT hold is automatically placed if the proposed permit work is for the installation or repair of a vault, which must be reviewed and released by the Permit Office. To release a VLT hold, the Permit Office’s Plan Examination Unit must be contacted. LMZ (Lower Manhattan Zone) hold – This hold signifies that you are working on a street that falls within the Lower Manhattan Zone (south of and including Canal Street). Your permit(s) must be reviewed and released by the OCMC Office. There are two categories of HIQA holds: Holds for Specific Permit Type or Unique Street Treatment and Holds that May Be Placed on the Permittee. Cobblestone (COB) hold— All permits issued to work on a cobblestone street are automatically placed on hold until a HIQA inspector performs an inspection of the work site to establish existing conditions before work begins. To request release of a COB hold, the applicant must contact the HIQA borough office in the borough in which the proposed work is to be performed to arrange for an inspector to visit the work site prior to the start of the work. Concrete (CON) hold— All permits issued to work on concrete portions of the roadway are automatically placed on hold until a HIQA inspector performs an inspection of the work site to establish existing conditions before work begins. To request release of a CON hold, the applicant must contact the HIQA borough office in the borough in which the proposed work is to be performed to arrange for an inspector to visit the work site prior to the start of the work. Special Treatment Projects (STP) hold— Any permits issued to work in areas that have a special treatment such as Times Square, Madison Square, Herald Square and other pedestrian plaza areas are automatically placed on hold. To request release of an STP hold, the applicant must contact the HIQA borough office in the borough in which the proposed work is to be performed. HIQA will determine whether an inspection of the work site is warranted to establish existing conditions before work begins. Canopy (CAN) hold— A CAN hold is automatically placed on a canopy maintenance permit application until a HIQA inspector performs a final inspection confirming the submitted plans. To request release of a CAN hold, the applicant must contact the HIQA borough office in the borough in which the canopy is installed to arrange for a final inspection following canopy installation. Re-Dig (RED) hold— In cases where an inspection has revealed a failed restoration and permittees have been told to redo the entire restoration, a RED hold will be placed. A HIQA inspector must be present during the restoration. To request release of a RED hold, the applicant must contact the HIQA borough office in the borough in which the proposed work is to be performed. To request release of a DOF hold, the permittee must contact Finance and either make a payment or agree to a payment schedule for all fees associated with the outstanding summonses/NOVs. Once Finance contacts HIQA, the hold(s) will be released. To request release of a Revenue hold, the permittee must contact NYC DOT's Fiscal Affairs Office to arrange for payment of outstanding bills. Upon satisfactory payment, the hold(s) will be released. Incorrect Information on File— If a permittee’s 24/7 phone number, address or other contact information is inaccurate or has changed without being updated, all future permit requests may be placed on hold until the information is updated. To request release of the hold, the permittee must contact HIQA’s central office or one of the borough offices to update the file. Upon completion of updates, the holds will be released. Unsafe Conditions— If the permittee has been notified and fails to address an unsafe condition, all future permit requests may be placed on hold until the unsafe condition has been eliminated. To have the hold released, the permittee must correct the unsafe condition, and then contact HIQA to arrange for an inspection. Upon a satisfactory inspection, the hold(s) will be released. Working Without a Permit— If the permittee has been issued a summons/NOV for working without a permit, all future permit requests may be placed on hold until the applicant takes out a permit of record for the work that was performed. To request release of the hold, the permittee must take out a permit of record for the work that was performed without a permit and then contact HIQA to submit a copy of the permit. Upon completion of this action, the hold(s) will be released. NYC DOT may revoke or refuse to renew a permit for any of the reasons listed below. The Highway Rules, Section 2-02(k) contains additional information. Whenever a permit has been issued in error and the conditions are such that the permit should not have been issued. Prior to any permit revocation, NYC DOT will give the permittee an opportunity to be heard with not less than two days' notice. NYC DOT may revoke a permit without affording the permittee an opportunity to be heard prior to the revocation if NYC DOT determines that an imminent peril to life or property exists. In this case, upon request of the permittee, NYC DOT will provide an opportunity to object to the permit revocation within five days after the request is received by NYC DOT. HIQA staff inspecting a work site. Who has exhibited a pattern of disregard for the rules or orders of NYC DOT or the terms or conditions of permits issued by NYC DOT or for other applicable law. Who has been found liable by a court or in a proceeding before the ECB of a violation of a rule or order of NYC DOT or the terms or conditions of a permit issued by NYC DOT or other applicable law, which violation caused an imminent peril to life or property. See the Highway Rules, Section 2-02(l). Voiding and Reissuing of Permits. Permits may be voided and reissued only within three business days of issuance. The fee for reissuance may be found in Section 2-03 of the Highway Rules. Permits reissued after three business days must be subject to the full permit fee. See the Highway Rules, Section 2-02(n). Certain circumstances are considered to be emergencies, meaning situations that endanger the public safety or cause or are likely to cause the imminent interruption of service. Special and separate procedures govern emergency work: one for utility access covers (including those for "manholes," valve covers and grates) and one for street openings/excavations. The following procedures must be followed to obtain either an emergency authorization number (EAN) for emergency utility access cover work or an Emergency Street Opening Permit Number for emergency street opening work. 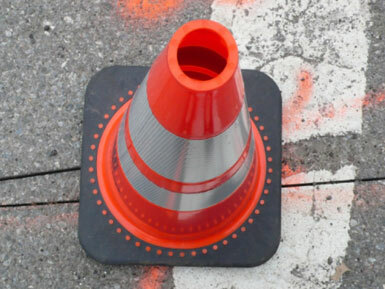 Any emergency work on a street that involves opening a utility access cover to gain access to an underground facility on a critical street during restricted hours requires an EAN. NYC DOT has a separate procedure for obtaining authorization for emergency utility access cover openings so that applicants can expeditiously perform such work. Applicants have two options to acquire an EAN. The first option (see Diagram 1) is by using the DOT on-line NYCStreets Permit Management system. Applicants who are registered as permittees (see Section 3.2) and are registered for on-line permitting can log-in to NYCStreets and request an EAN. If all information is satisfactory the applicant is approved and the system auto-generates an email which is sent to the applicant with the EAN. NYCStreets system will automatically block an applicant from submission if insurance is not current. The second option is available for applicants who do not have the technology to use the above procedure. Applicants must first submit an Emergency Authorization Number Form. The form must be completed and faxed to NYC DOT’s Emergency Authorization Unit (EAU), which will confirm that the applicant's insurance is current and that the location requires an EAN. If all information is satisfactory, EAU will fax or call the applicant with an EAN, which must be available at the work site and presented to any governmental employee upon request. An EAN is required for each utility access cover opening at a location, provided that the work is performed around the clock until the emergency is eliminated, at which time the EAN expires. The Highway Rules, Section 2-07(c) (4) contains additional information. The applicant will be charged a fee of $30 for each utility access cover opening EAN. Any emergency work on a street that involves a street opening/excavation requires a Street Opening Permit. NYC DOT has a separate procedure for obtaining permits for emergency street opening/excavation work so that applicants can expeditiously obtain such permits. Applicants have two options to acquire an emergency street opening/excavation permit. The first and most expeditious option (see Diagram 2), is by using the DOT on-line NYCStreets Permit Management system. Applicants who are registered as permitees (see Section 3.2) and are registered for on-line permitting can log-in to NYCStreets and submit a request for an emergency street opening/excavation permit. NYCStreets confirms that the applicants insurance is current; approves application and auto-generates an Emergency Street Opening permit number, which authorizes the emergency street opening/excavation work. NYCStreets system will automatically block an applicant from submission if insurance is not current. The second option is available for applicants who do not have the technology to use the above procedure. Applicants must first submit an Emergency Street Opening Permit Form. A copy of the form can also be found in Appendix B, Forms. The form must be completed and faxed to EAU, which will confirm that the applicant's insurance is current. EAU will process the request and fax or call the applicant with an Emergency Street Opening Permit Number, which authorizes the emergency street opening/excavation work. If the insurance is not current, the request will be denied. The Emergency Street Opening Permit Number must be available at the site and presented to any governmental employee upon request. Work must begin within two hours after obtaining an Emergency Street Opening Permit Number and must be performed around the clock until the emergency is eliminated, unless otherwise directed by NYC DOT. Only one Emergency Street Opening Permit Number is required for a specific work location. Following issuance of the Emergency Street Opening Permit Number, the permittee must submit an application for a regular Street Opening Permit within two business days (Highway Rules, Section 2-11(g)). This Street Opening Permit retroactively covers the emergency street opening/excavation work already performed. OCMC imposes construction embargoes* for significant special events including the New York City Marathon, parades, high profile projects and for the winter holiday season. All active permits in the affected area(s) are suspended during the dates and times of the embargo period and no new permits may be approved, unless a waiver for the work is granted by OCMC. The suspension does not apply to emergency authorizations and permits (see Section 3.6.1 Emergency Utility Access Cover Openings and Emergency Street Openings). A list of construction embargoes under way at any given time can be found on the Construction Embargoes page on NYC DOT's website or at the borough Permit Offices. In order to apply for an embargo waiver, a Request for Roadway/Sidewalk Permits during Embargo Periods form must be submitted for review and consideration to the Permit Office. Applicant should submit this form with the appropriate documentation and waiver request fee. Payment of the waiver request fee, as specified in the Highway Rules, Section 2-03, does not guarantee that approval to work during the embargo period will be granted. If the request is approved or modified, then all conditions, restrictions, fees and application procedures for obtaining a construction-related permit apply. Winter holiday embargo—The winter holiday embargo typically starts in mid-November and lasts through January 2. As of August 31, 2017, a new Holiday Embargo (HE) review process has replaced the previously used HE waiver request process used by NYCSTREETS. During the application process, the NYCSTREETS system will automatically identify cases which require additional HE review, and processes them accordingly. If a permit application includes permit requests to work on embargoed streets within 90 days prior to the start of the HE (November 16th), the permittee will be presented with a warning, during the application process, stating that such permit request(s) will be subject to the upcoming HE. If work is planned through the HE period, the critical reasons for the work must be included in the “Work Description” field of the application. For all permit applications including permit requests to work on embargoed streets through the HE period, the permittee will be automatically charged an additional $135 HE application review fee. Details about the exact holiday embargo dates, times, and locations are posted on NYC DOT's Special Traffic Advisory page, generally in mid-October. 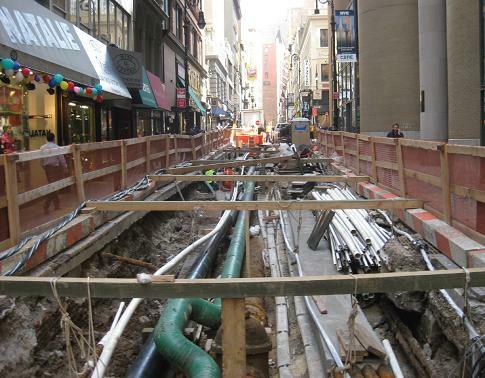 This section describes the application and review process for obtaining approvals to construct or repair vaults under the sidewalks of New York City streets. NYC DOT issues permits for two types of vaults: building vaults and transformer vaults. A building vault, as described in Section 2-13 of the Highway Rules, is any opening below the surface of the street that projects outside of the property line and is covered over, except for those openings: (1) used exclusively to access, by means of steps, the cellar or basement of any building; (2) used primarily for light and ventilation; (3) constructed or maintained by utility companies (including transformer vaults); and (4) which are subways, railroads and related structures. A transformer vault is a subsurface structure or room that houses electrical transformers and appurtenant equipment. Transformer vaults are typically installed, owned and maintained by an electric utility company. The city has master revocable consent agreements with electric utility companies that allow them to occupy and use city property for transformer vaults. The construction, alteration or repair of any building vault or transformer vault requires a permit from NYC DOT. Most vault work also requires plan approval and a permit from DOB. In some cases, approval from the LPC (if the vault is in an historic district) or the Metropolitan Transportation Authority (MTA) (if the vault is near a subway or tunnel entrance) is required. In addition, a vault license from NYC DOT's Office of Franchises, Concessions and Revocable Consents is required to construct a new building vault or enlarge an existing building vault. Applications for NYC DOT vault permits are reviewed on a case-by-case basis. Applicants should contact the NYC DOT Plan Examination Unit (PEU) of the Permit Office to initiate the application process and to determine specific requirements for a permit and a license, if required. A list of the forms most commonly used during this process can be found in Appendix B, Forms. A $35 filing fee is required for all vault applications. PEU performs the initial review of all applications for building vault permits and licenses. A DOB-approved plan must be obtained and submitted to PEU with the application for a final approval and permit. Different from DOB, DOT plans requires 600 PSF live loads on all sidewalk doors, gratings, covers and vault structures. If the applicant plans to construct a new vault or enlarge an existing vault, PEU will refer the applicant to NYC DOT's Office of Franchises, Concessions and Revocable Consents for a vault license. When the license is issued, the applicant must pay a one-time license fee of $2 per square foot. The applicant can also request a new vault license for an existing vault by submitting SCARA plans and make a one-time license fee of $2 per square foot. PEU also accepts applications to abandon existing vaults that are no longer in use. NYC DOT may order a vault licensee or the owner of the premises where the vault is located to fill in an abandoned vault. Specific requirements for filling in abandoned vaults can be found in Section 2-13(o) of the Highway Rules. Typical treatments include removing vault roof near curb, filling flowable lifts, and breaking vault floor. DOB approval is also required. All applications for construction or repair of a transformer vault must be accompanied by an electric utility company layout, and must comply with the minimum clearance requirements for transformer vaults unless an approval or waiver is obtained from the appropriate agency or utility (more information is available in Appendix B, Forms). Contact PEU for further information regarding the procedure to obtain initial and final approval for a transformer vault. The construction of any vault that extends beyond the curb must be authorized under a revocable consent agreement, as required in Section 2-13(c) of the Highway Rules, in addition to approval by PEU. View more information and instructions for obtaining a revocable consent.